The former Sanghachalak of Gomantak and Goa Chief Minister Manohar Parrikar has unfortunately lost the prolonged battle against illness. He was a former Defence Minister of Bharat and also held many other posts that he brought honour and glory to. He was diligent, committed and focused in his goals. Due to divine ordainment, his voice has been silenced forever. Whether it was Sangh activities in Goa, or the lofty goal of development of common people, Manohar Parrikar was a leader who dedicated his everything to both causes with equal diligence. He took upon the responsibility of Ministry of Defence keeping national interests in mind and guided the defence establishment in a new direction. 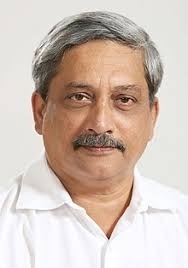 Amiable, studious, strong-willed, work-oriented and someone who had no other thought in his mind except national interest, Manohar Parrikar was, indeed, a rare public figure. We have lost one of the best sons of Bharat Mata. We will always remember him as an ideal social, political worker and dedicated karyakarta. May his family, friends and colleagues be granted the strength to bear the loss of his untimely passing. May the departed soul attain sadgati. This is our prayer to the Almighty.